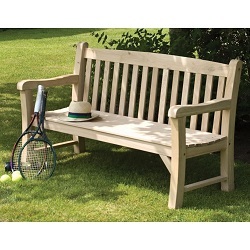 Choose from one of our extensive range of wooden, metal and plastic garden benches. Whether you are looking for a simple sleeper bench or a stylish picnic bench, we have lots to choose from. Sourced from British brands including Forest Garden, Zest4Leisure, Grange Fencing, Norfolk Leisure and Rowlinsons, our benches are of high quality and designed to last. Don't miss our best-sellers, the Rowlinsons Willington Bench or the 1.2m sleeper bench from Forest and if you are looking to entertain, our Caroline Table, Bench and Chair Set is a great choice from Zest4Leisure.